Our mission at Oregon Supported Living Program -- Empowering adults with intellectual and developmental disabilities. Oregon Supported Living Program began in 1978. under the auspices of the University of Oregon. The initial endeavor was a semi-independent living program, providing various support services for individuals with mild disabilities who maintained their own residences in Eugene. OSLP then expanded to serve persons with more complex disabilities who had been displaced by the closure of Siuslaw Care Center in Florence and the downsizing of Fairview Training Center, a state institution in Salem, Oregon. This for many was the end of an era of inhumane treatment and substandard living conditions. In July of 1988, OSLP separated formal administrative ties with the University of Oregon and became a private non-profit organization. Our 24 Hour Residential Program now includes several group homes, our Supported Living Program which serves adults who live in homes of their choice throughout Eugene and Springfield. 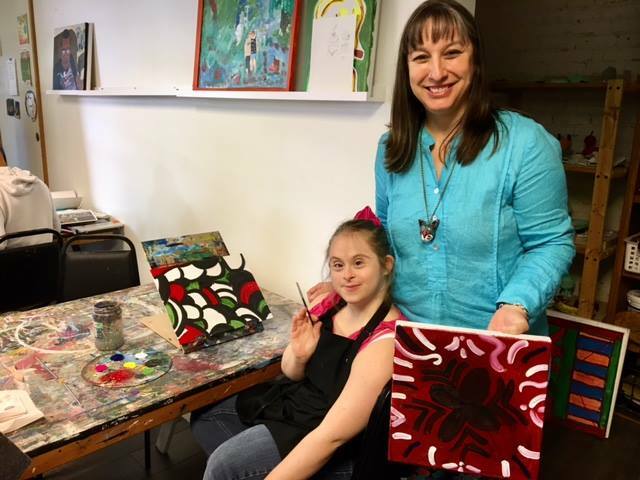 OSLP has expanded to offer a Community Inclusion and Employment Program and our newest program, The OSLP Arts & Culture Program, which is one of the nation’s first inclusive community arts program and is open to the whole community.